I missed it in London and I missed it when it came to Singapore the last time. Thankfully I caught it when it's back this time around. What am I talking about? 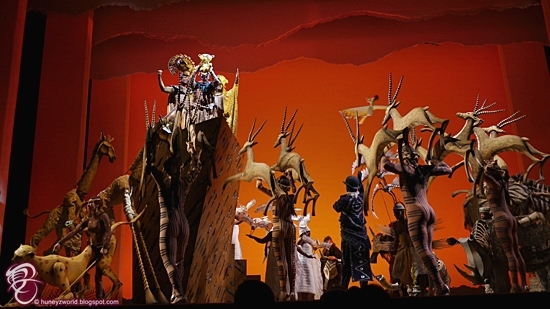 Of course, it's the hit Broadway musical 'The Lion King'! It has had nothing but good ratings and finally my "roar" for it has been heard and they are back for another round! 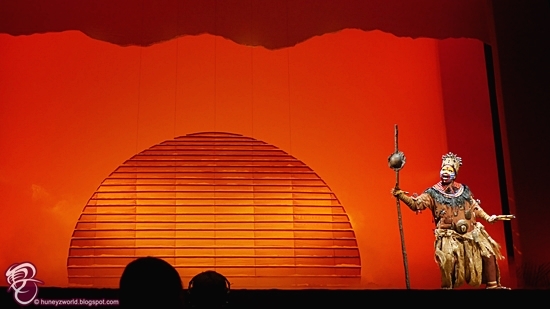 After catching the musical, I finally understand why The Lion King is the 3rd longest running show on Broadway, having celebrated its 20th-anniversary last year. 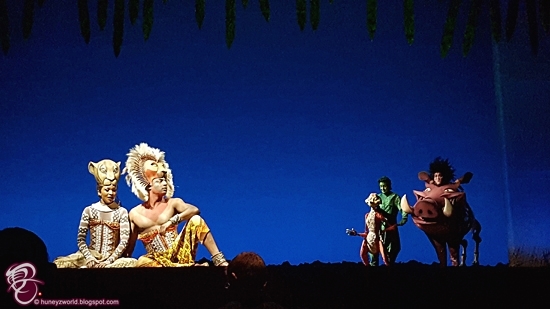 It's not like any traditional Broadway productions, the backdrops were carefully thought out to match the storytelling and the actors were all so different, other than singing and dancing, they even have to work with masks and puppetry. Credit for this goes to the creative vision of the director Julie Taymor, who came from avant-garde and experimental theatre background. 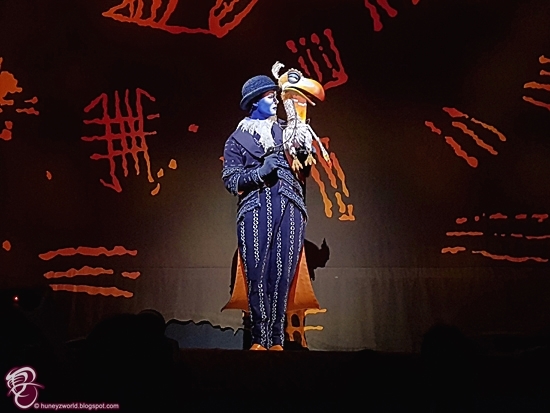 While many musicals feature high-tech gimmicks to wow audiences, she took a more traditional theatrical route of making use of lighting, stylized backdrops and detailed costumes and puppetry on stage. 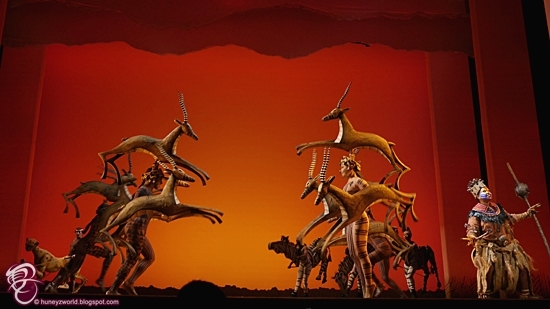 She has cleverly blended African elements with traditional Broadway techniques to create an African Savannah on stage that is so beautiful and easily translated visually that even little kids can easily understand. 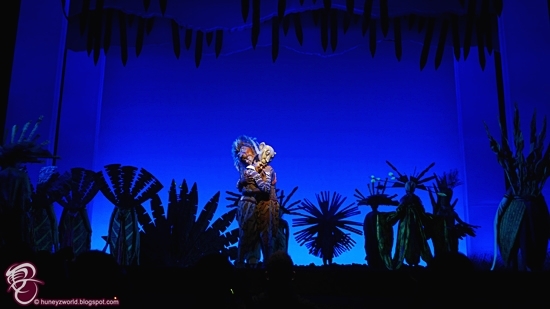 For example, to depict a scene of drought coming, the backdrop of flowing blue silk, got "sucked" through a hole on the stage floor, leaving the ground bare and dry, was so cleverly executed and easily explained. 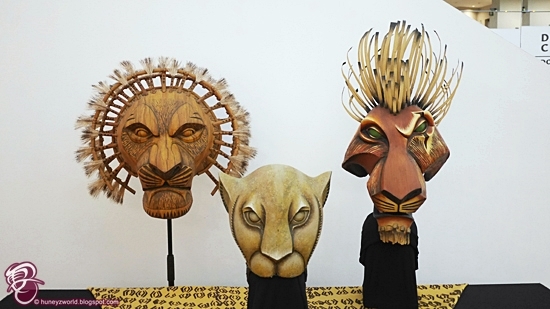 The puppets and masks are highly detailed and gorgeously made, even from afar, you can see the silhouette of the animals depicted. It's so easy to forget that we are watching human acting in front of us. 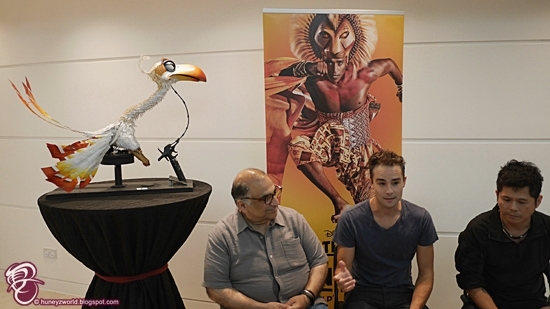 BTW, the man backstage in charge of all the puppets is our very own Singapore’s Tim Lucas. Watching the theatrical version brings a deeper story to life. I got to see the "human" side of the cartoon animal characters as we follow Simba on his journey to become King. 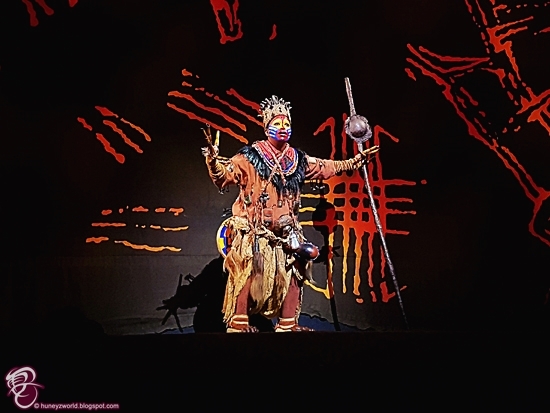 There was quite a bit of African language (Swahili, Zulu, Xhosa, Sotho, Tswana and Congolese) used on stage, but that doesn't stop us from understanding the story simply just by the body language of the characters. Last time when watching the story in animation form, I was too absorbed in the beautiful drawings and caught the story on its surface area. Now seeing these characters coming to life in humanized forms, not only stirred up emotions in me, but also made me see the story in a more literary form, seeing the Hamlet reference within. 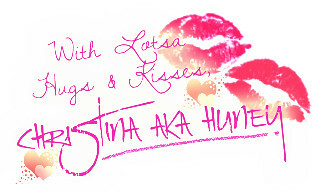 All the actors have amazing vocals and each of them has a little animal cheekiness in them. 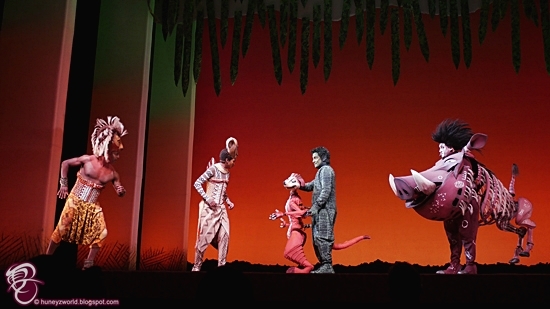 My favourite has got to be Zazu (André Jewson), Timon (Jamie McGregor) and Pumbaa (Pierre van Heerden). They bring on so much comic relief on stage with their acting and lines. Keep your ears "open' too for the comically timed Singlish and Singapore elements that they just might interject in between their lines. 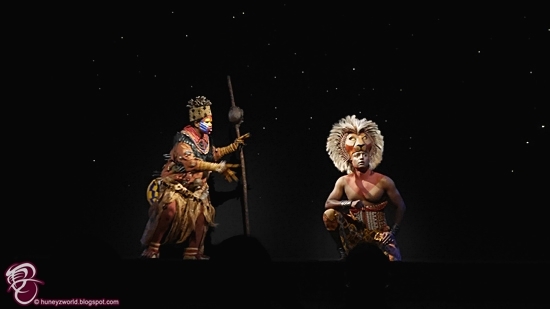 The principal cast of THE LION KING also includes Ntsepa Pitjeng who returns to the role of ‘Rafiki’, having performed the role in the USA, UK, Brazil, and Switzerland productions. Direct from London’s West End is Jonathan Andrew Hume who returns to the role of ‘Simba’ having played the role in 2011 in Singapore, Mthokozisi Emkay Khanyile in the role of ‘Mufasa’, and also from the United Kingdom is music theatre performer Antony Lawrence as ‘Scar’. Rounding out the principal cast are South African performers and up-and-coming star Noxolo Dlamini as ‘Nala’; Candida Mosoma returns to the role of ‘Shenzi’; Björn Blignaut as ‘Banzai’; and Mark Tatham as ‘Ed’. Joining the company are six actors from the Philippines. 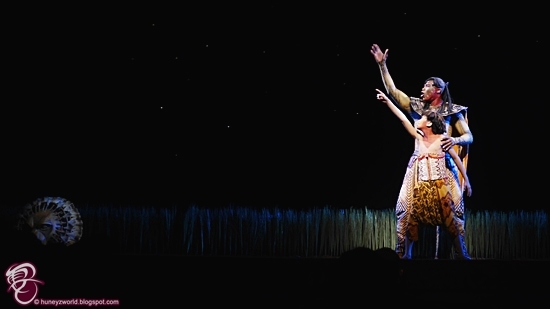 Sharing the role of Young Simba are Julien Joshua M. Dolor Jr., Gabriel P. Tiongson, and Omar Sharief L. Uddin; sharing the role of Young Nala are Sheena Kirsten Bentoy, Uma Naomi Martin and Felicity Kyle Napuli. So, you ask, is it worth it? Definitely! I am super stoked I finally caught the musical and is definitely not to be missed. 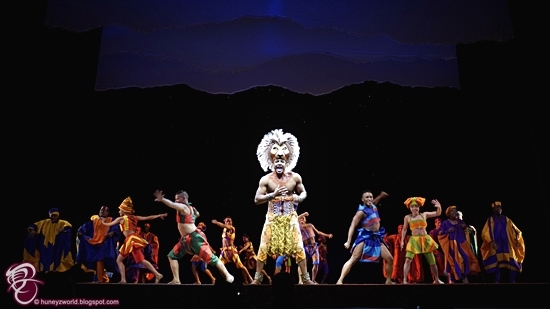 The Lion King plays from 27 June to 23 September at Sands Theatre. Showtimes are 7.30pm from Tuesdays to Fridays, 2pm and 7.30pm on Saturday, as well as 1pm and 6pm on Sunday. Tickets are $65 and above, you can book them via Marina Bay Sands or Sistic.